Police in Sudan have fired tear gas at crowds of protesters near the capital Khartoum, calling again for President Omar al-Bashir to step down. Human rights groups say at least 45 people have been killed since the demonstrations began in December. 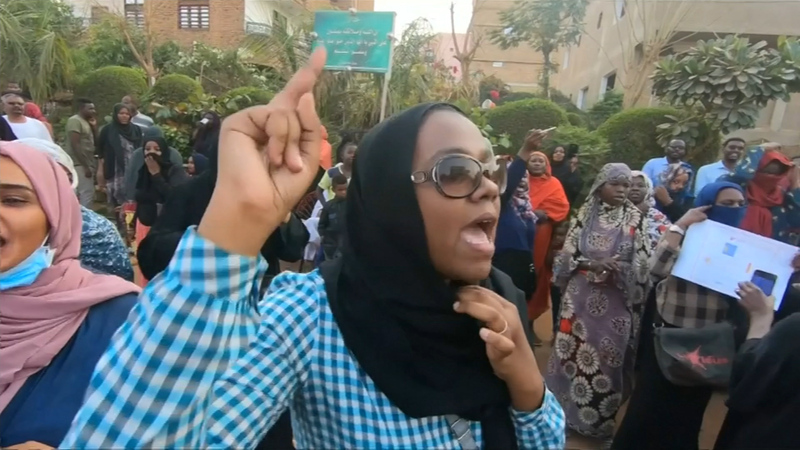 In the latest of our films from Sudan, Yousra Elbagir reports on the women on the frontline of the protests, who describe their experience at the hands of government forces. You may find some of the images in her report distressing.